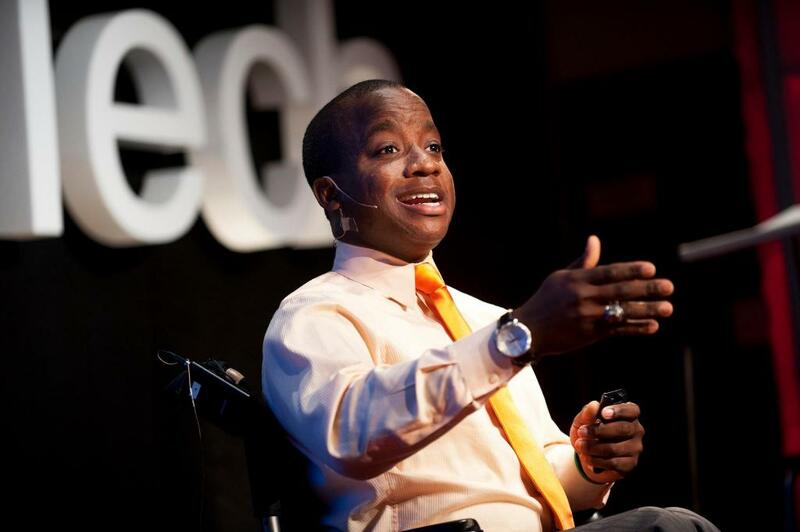 Delivering my talk, titled “Caring Unexpectedly: Actively Serving Others” at TEDxVirginiaTech 2012. “Leave people differently because you spoke, because you were there, and because you gave them something to think about.” Before any speaking engagement, I always remind myself of the above mantra. Before I roll out onto the stage, while I’m speaking, and afterward when I’m speaking critical feedback about my engagement with the audience, I always want people to remember at least one thing and to feel as if I gave them something to think about. My dream job has always been to be a motivational speaker. When people ask “how I got my start,” my answer for them dates back to elementary school. When I was in the 5th grade, I came home from school one day particularly upset. As a student who used a wheelchair to get around and was going through puberty, it started to hit me how there wasn’t much for me to do at recess…while the other kids were just running around having a great time. As a result, my mom encouraged me (well, basically forced me) to write a testimonial that I delivered to the local School Board later that month…and my passion for public speaking was born. I realized the power of being an effective public speaker can truly enact change and improve situations not only for yourself but for others who may come after you, as well. Delivering the commencement address for Blacksburg Senior High School’s Class of 2014. Over the years, I have garnered a ton of experience in producing highly engaging and rewarding motivational and team-building sessions. From working as a public speaking coach to chairing a TEDx committee for recruiting and evaluating prospective speakers, I am passionate about using the gift of gab coupled with the powers of knowledge and storytelling to motivate others toward positive development. 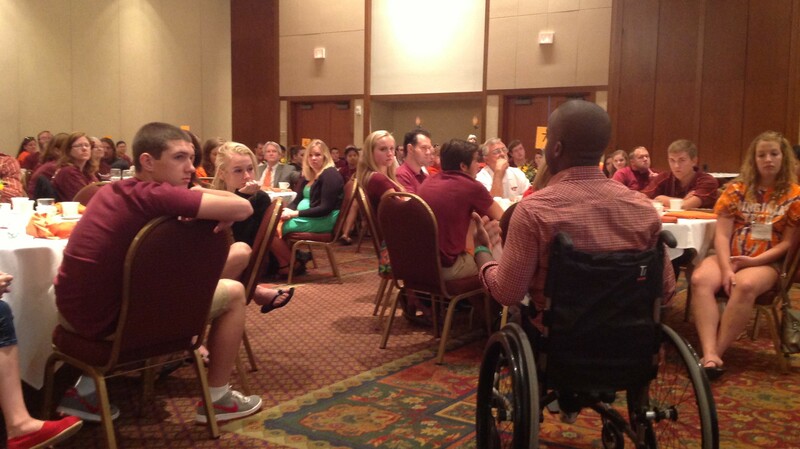 Speaking at the Alumni Chapter Officer Forum breakfast in 2014. My track record is truly diverse. 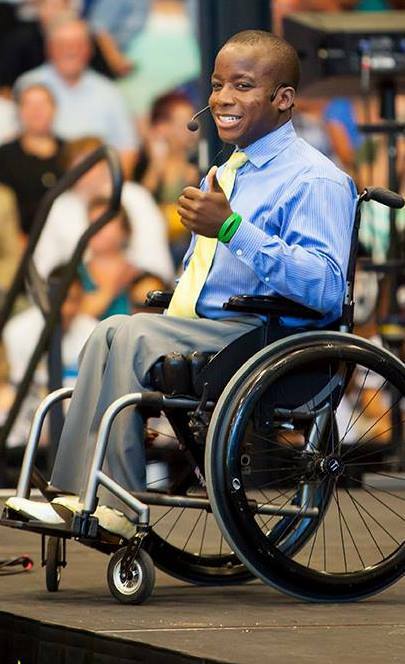 I have completed speaking engagements with U.S. federal government executive leaders, national politicians and leaders, non-profit leaders in small communities, college students in both residential and academic settings, 5th graders at their elementary school graduation, 12th graders at their high school graduation, 20-something entrepreneurs, higher education professionals, and more. 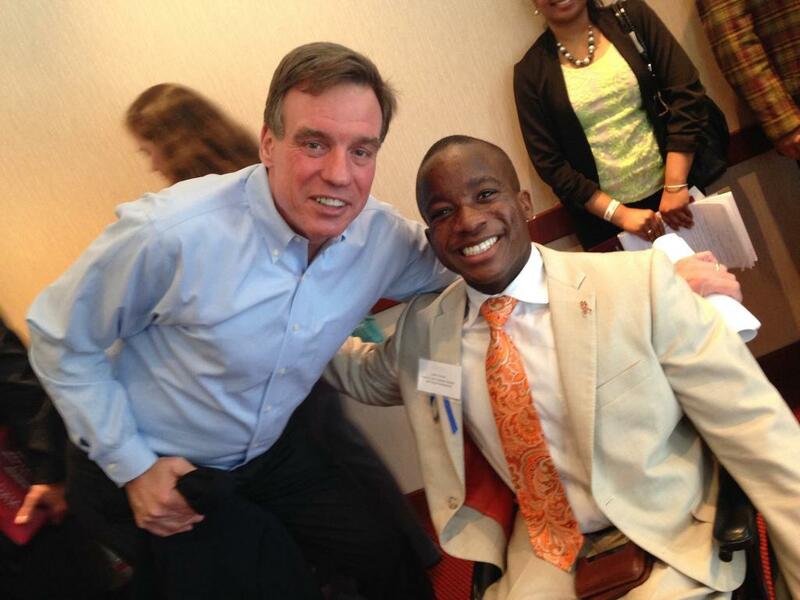 I was honored to be a keynote speaker at former Governor & Virginia Senator Mark Warner’s Virginia Young Professionals Summit in 2014. For your convenience, there is a request form for speaking inquiries*.